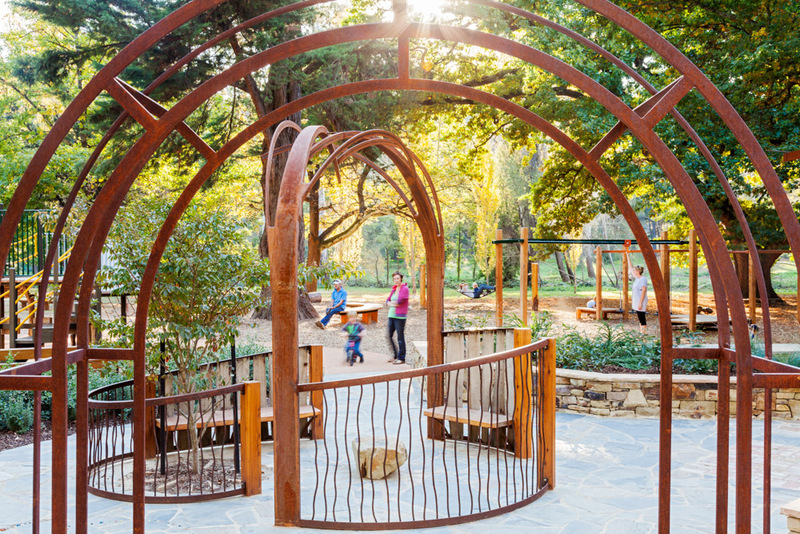 Centrally located on Marysville’s main street, and accessible to both local residents and visitors, the park is a key meeting and gathering place. 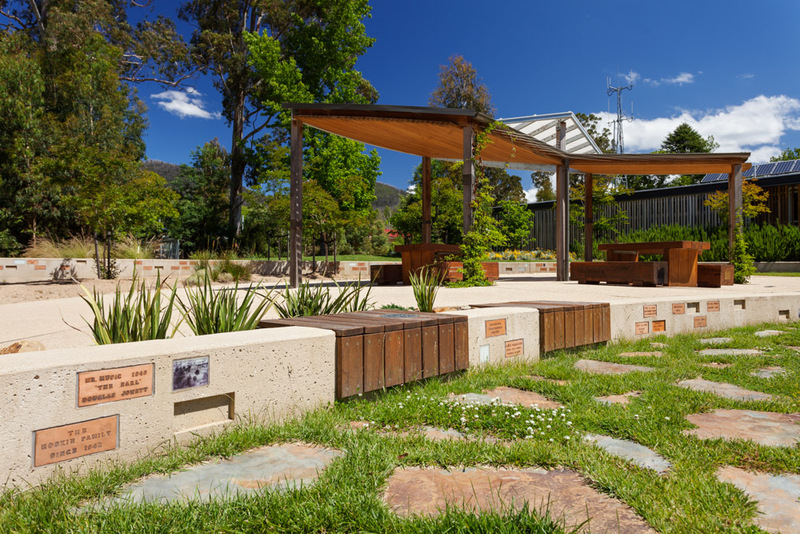 The park is, quite literally, the ‘heart’ of a township following the terrible Black Saturday bushfires. 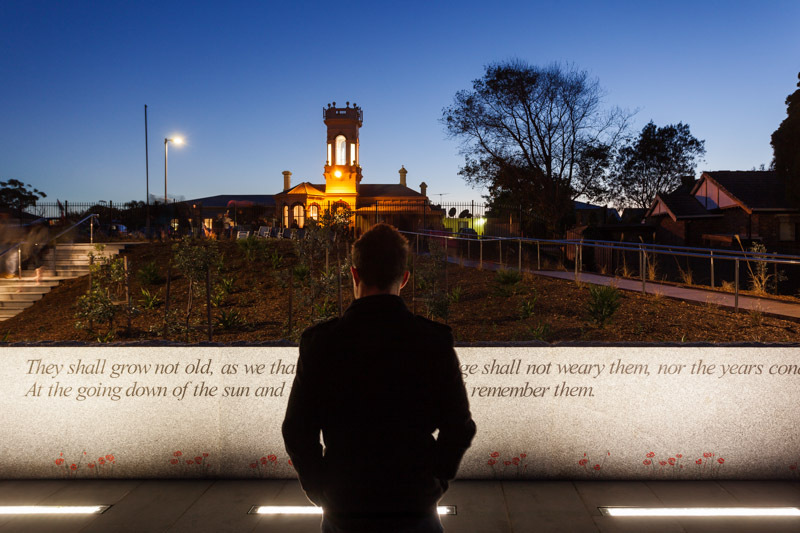 It provides a physical link between the commercial street and recreation opportunities of Gallipoli Park, and a place where stories link the landscape to the community. 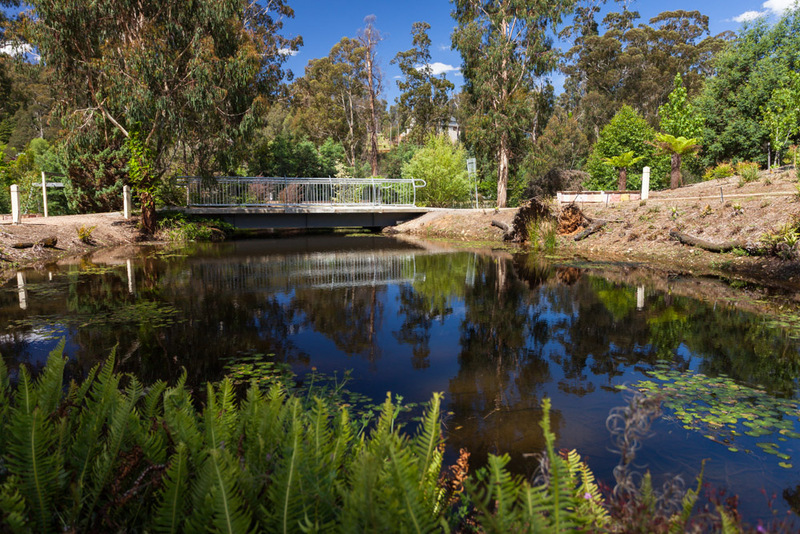 A collaboration with Arterial Design and extensive community consultation resulted in interpretive elements throughout the park which embrace both the past and present, and focus on the strength of the people and the beauty of the forests which surround the town. 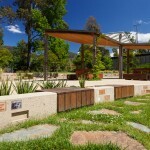 A custom designed paper-light shelter floats above seating terraces with embedded interpretive elements and seating. 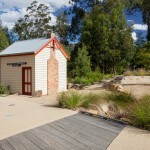 Chunky timber furniture provides solidity and a link to the forestry history of the town. 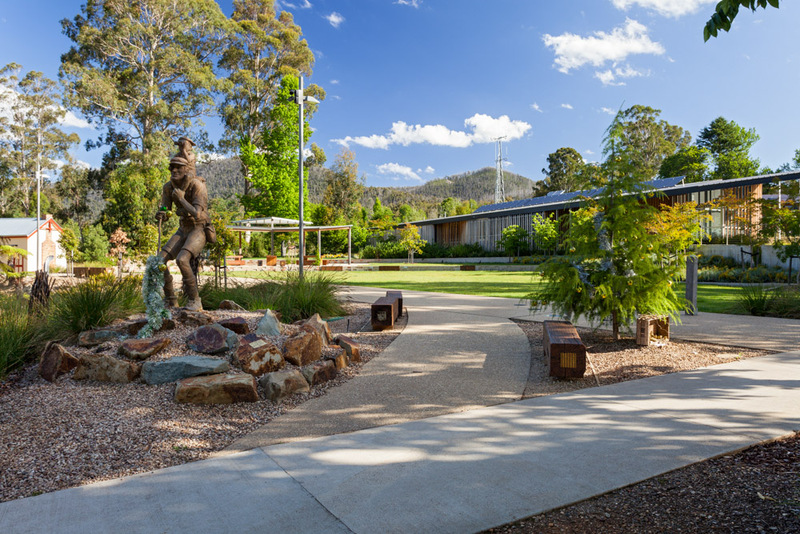 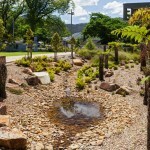 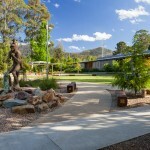 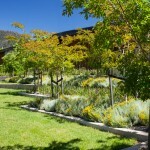 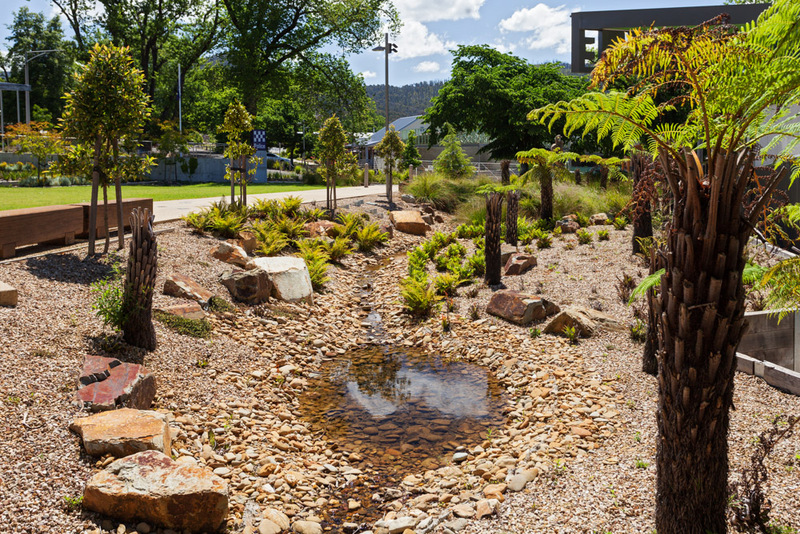 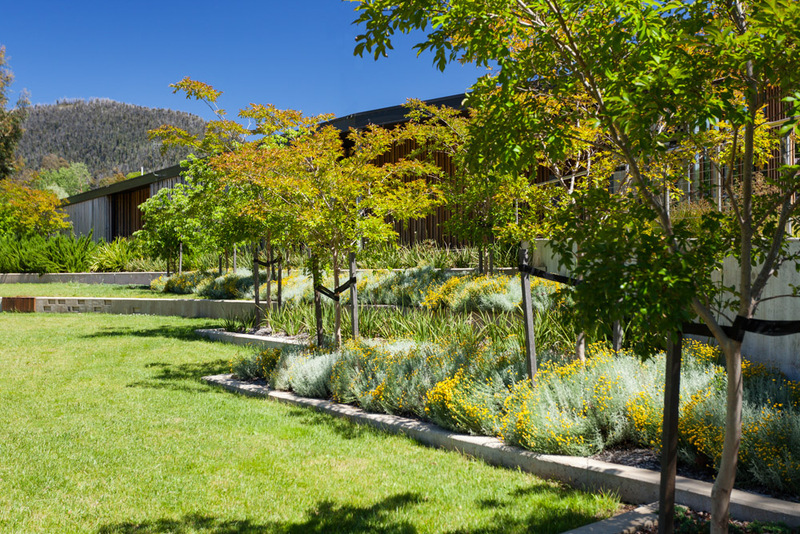 A water channel links the terraces with a new fern gully space, which softens the modern Information Centre building. 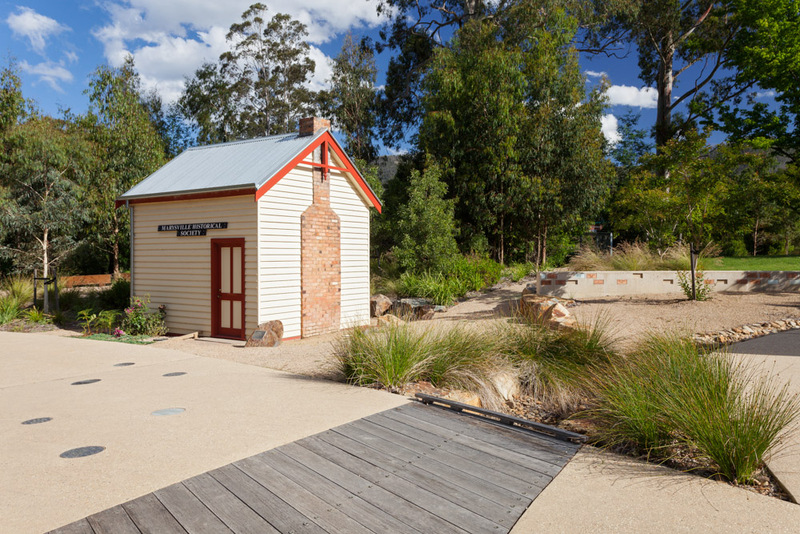 The rebuilt historic old police station building and old log train are as seamlessly integrated into the park as the town’s stories.